You spoke; we heard you! 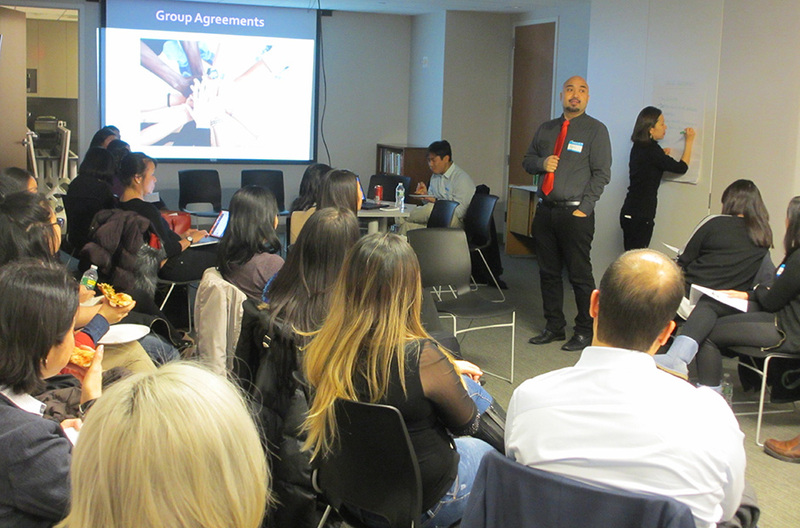 In response to the community's overwhelming interest in our microaggressions panel in Oct., we invited Dr. Kevin Nadal to lead an interactive workshop on Jan. 13 on how to identify the subtle forms of discrimination that Asian Americans experience in the workplace and what they can do to address them. Nearly 30 professionals participated in the discussion about the damaging effects of stereotypes on both their well-being and careers and role-played different scenarios to push back against instances of microaggressions. Thank you to Kevin Nadal for sharing his knowledge - and humor - with the community!